From the front of the stall - Stuart hiding to the right! Not only was the stall itself absolutely amazing, but Stuart was lovely and imparted some invaluable knowledge onto us: how to actually pronounce the names properly, for example! I just wish I’d taken a notebook with me or something. 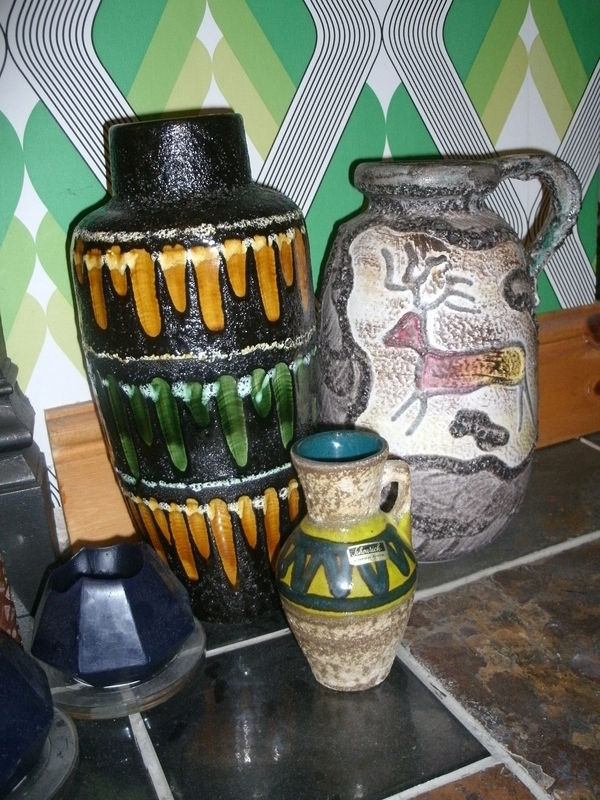 We already had the one on the left, bought from a car boot sale a couple of years ago. The new one is the one on the right, complementing it perfectly! This one is Aidan’s favourite of the two: he even likes it more than the giant original we had, because of the brighter colours. This photo is already up on the entry before this one, but I prefer this pic of the pot to others I’ve taken. This one is my favourite of the two. I think it’s a bit more understated, and I love the combination of colours. 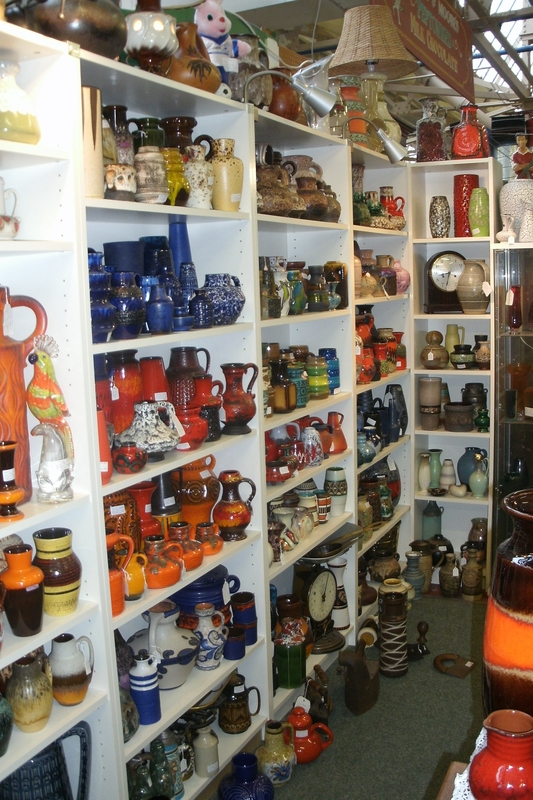 Some of these are to keep, some are to sell on Ebay and the car boot sales next year. 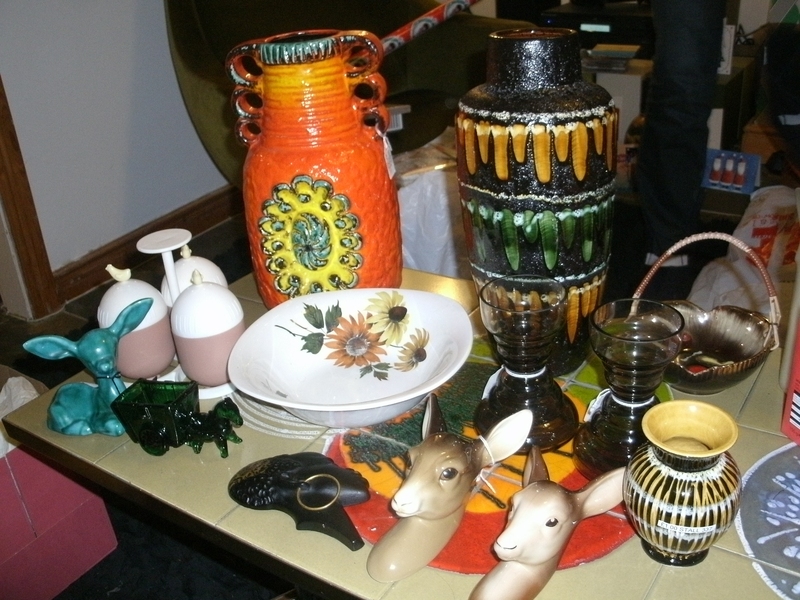 The little green deer on the left and the tiny glass Italian donkey at the front are mine to keep! The deer is looking at me as I type, actually… Also, note the Tretchikoff style head – I said not so long ago that I’d love to find another one! After a few minutes of thinking, I decided I’d rather Aidan Ebayed it and put the money towards something we’d want more. Most of these bits and bobs cost £1 or £1.50 – hopefully there’s some profit to be made. So, a fantastic day out and some pretty fabulous finds to be coming home with. All in all, another brilliant Christmas holiday… day! Next Post Snow in Glossop! Lucky you that lives close to visit that shop, I am inspired. Maybe I have to go to England. 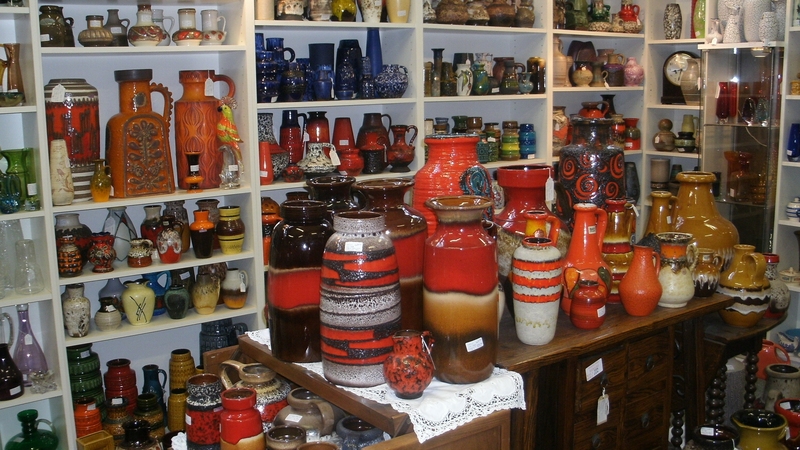 So many nice vases and things to buy, is it very expensive? I live in Stockholm but maybe we will go to England later this year. 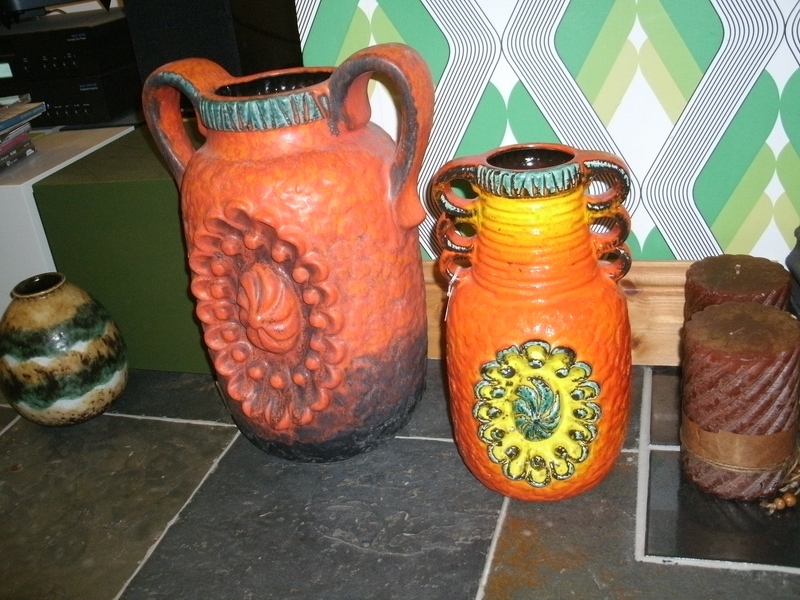 It´s not easy to find really good ones here, and also in Sweden people are more aware of the vases. 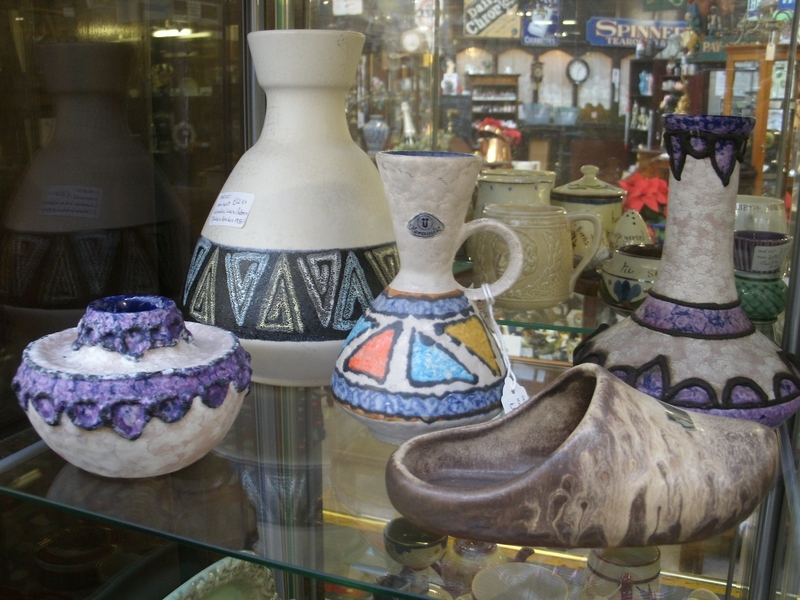 But now and then some nice pieces are to find.